The Royal Shakespeare Company is to launch a new tour as part of the reopening of the Other Place theatre. The company’s 40,000-piece costume store will also be opened to the public for the first time to coincide with the tour, called From Page to Stage, which launches on March 24. The Other Place, originally built in 1973 as a home for the company’s experimental work, will reopen later this month as a “new festival theatre” featuring a 200-seat studio space. 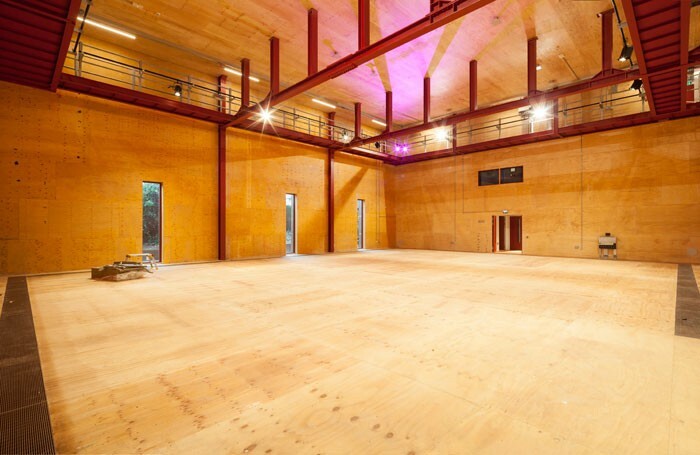 The building, which is located near the RSC’s main house in Stratford-upon-Avon, will also include two new rehearsal rooms and be home to the company’s costume store. The theatre will host two new work festivals each year, with the first taking place this summer. It will also be used for research and development, rehearsals, and training, as well as being available for use by local amateur groups. The Other Place has been built within the structure of the RSC’s temporary Courtyard Theatre, which was used while the main house was being refurbished between 2006 and 2010. The construction of the new Other Place was announced in 2015 and has taken place over the last 12 months. RSC deputy artistic director Erica Whyman, who will be in charge of the venue, said the new space would embody the “challenging and alternative spirit” of the original Other Place, created by director Buzz Goodbody. “I can already feel the atmosphere of the place and I know that it will be an inspiring place to explore and rehearse new ideas, to perform, and to experience new writing and other forms of theatre,” Whyman added.